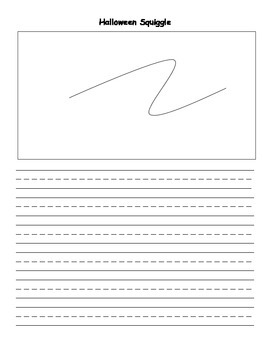 This pack has 5 different Squiggles with primary lined paper. 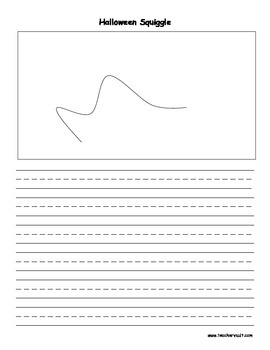 The students should study the Squiggle and turn it into a Halloween picture. Once they are done with their illustration, they can write a story. 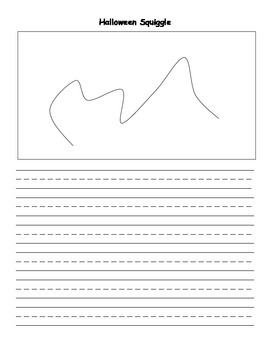 I love to use Squiggles in the classroom to help students generate ideas in writing and to build creativity. 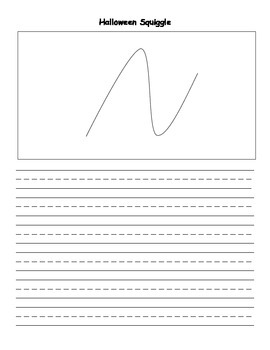 There are 5 different Squiggles so you could print different copies for students at a table group, or you could print the same copy for all students.